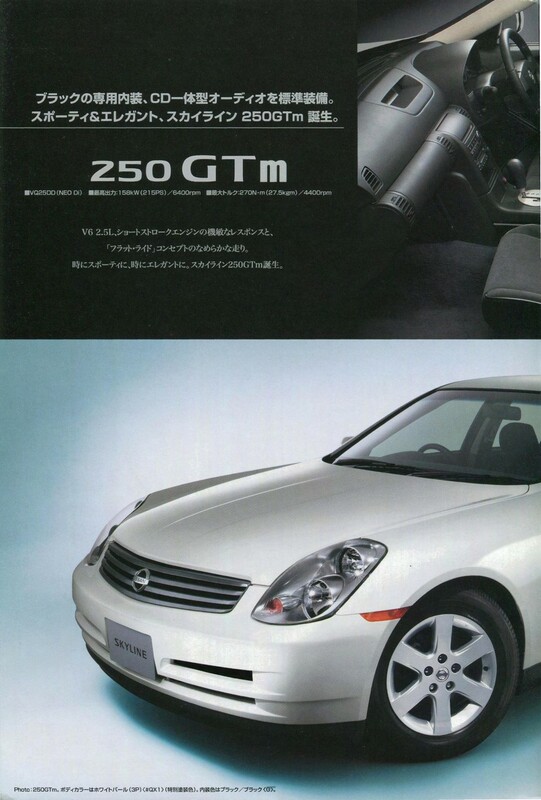 With the introduction of the V35 sedan in Japan in 2001, and then in the US beginning in late 2002, the V35 Skyline (Infiniti G35 in the US market) omitted many of the trademark styling cues and drivetrain arrangement that made the Skyline legendary over the previous decades. However, progress marches on, and the innovations introduced on the V35 chassis eventually would make their way into the R35 platform, expanding the Skyline and GT-R legend internationally. 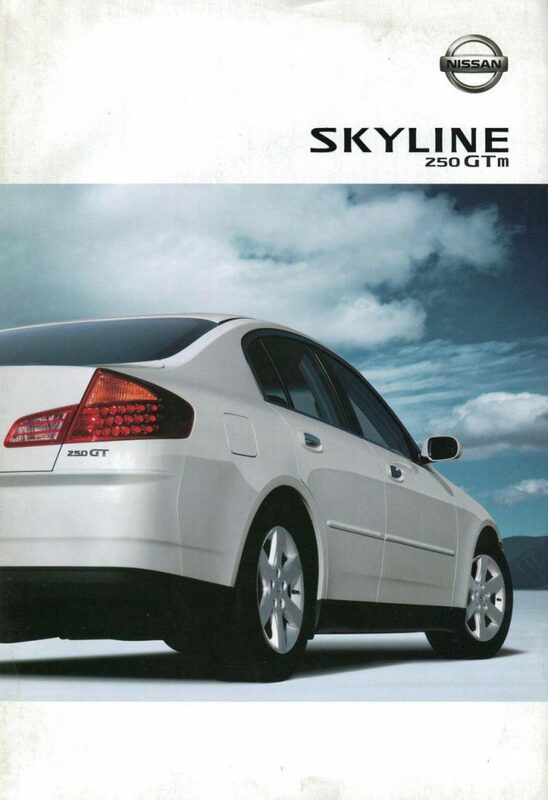 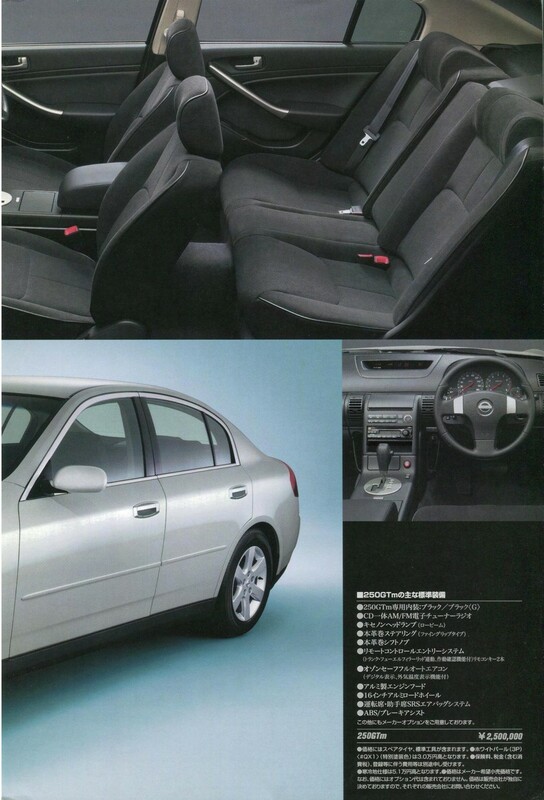 We obtained this brochure at the 2001 Tokyo Auto Show, where the 250GT Skyline Sedan was introduced, and have scanned it for your viewing pleasure. 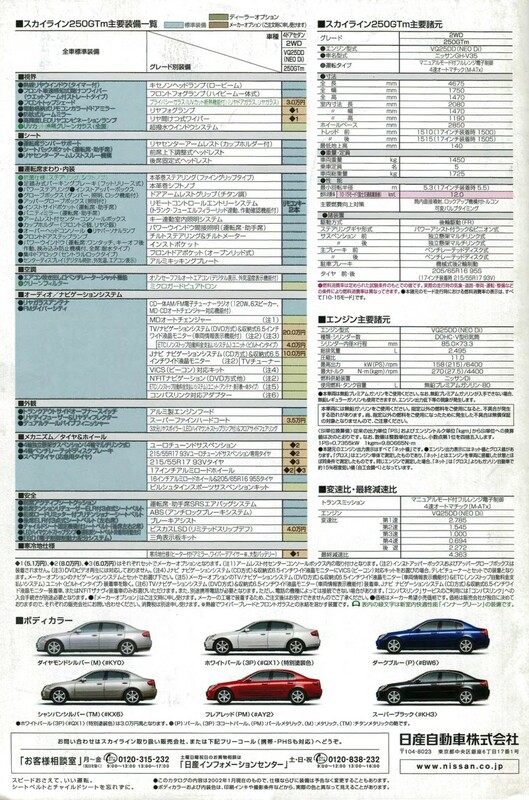 Click images for larger size – Enjoy!